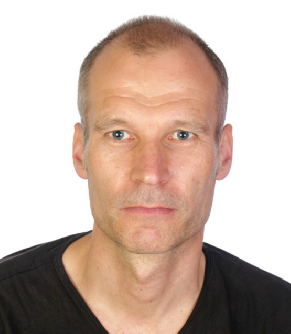 Jan Graffelman holds a Dutch doctorandus degree in Biology from the University of Groningen. He obtained his PhD in Statistics at the Technical University of Catalonia (UPC), where he is associate professor in Statistics since 2002. He is principal investigator of a research group in Compositional Data Analysis at UPC since 2015, and visiting associate professor of Biostatistics at the University of Washington in Seattle (USA) since 2014. He has published about 25 research articles in international scientific journals, mainly in statistics and biology. Graffelman, J., Pawlowsky-Glahn, V., Egozcue, J.J. Buccianti, A. (2018) Exploration of geochemical data with compositional canonical biplots. Journal of Geochemical Exploration 194: 120-133. Graffelman, J. and Weir, B.S. (2016) Testing for Hardy-Weinberg equilibrium at bi-allelic genetic markers on the X chromosome. Heredity 116(6): 558-568. Graffelman, J. (2015) Exploring Diallelic Genetic Markers: The HardyWeinberg Package. The Journal of Statistical Software 64(3): 1-23. Graffelman, J. and Moreno, V. (2013) The mid p-value in exact tests for Hardy-Weinberg equilibrium. Statistical Applications in Genetics and Molecular Biology. 12(4): 433-448. Graffelman, J. and Aluja-Banet, T. (2003) Optimal representation of supplementary variables in biplots from principal component analysis and correspondence analysis. Biometrical Journal 45(4): 491-509.